F Carter Ashton (Lethbridge, Regina, Tri-City, 2006-11) has been traded by Torpedo Nizhny Novgorod to Lada Togliatti (both Russia, KHL) for cash considerations. This season, he had 18 goals and 10 assists in 59 games with Torpedo. . . .
F Spencer Edwards (Red Deer, Seattle, Moose Jaw, 2006-11) has signed a one-year contract with Bordeaux (France, Ligue Magnus). This season, with Dijon (France, Ligue Magnus), he had 15 goals and 13 assists in 42 games. He was an alternate captain. . . .
F Tayler Thompson (Prince George, 2010-12) has signed a one-year contract with Brest (France, Division 1). This season, with the Fayetteville FireAntz (SPHL), he had 18 goals and 42 assists in 56 games. . . .
F Kyle Chipchura (Prince Albert, 2001-06) has signed a one-year contract with Kunlun Red Star Beijing (China, KHL). He had 13 goals and 16 assists in 59 games with Slovan Bratislava (Slovakia, KHL) this season. . . .
D Ryan Button (Prince Albert, Seattle, 2007-11) has signed a one-year contract with Red Bull Munich (Germany, DEL). This season, with the Iserlohn Roosters (Germany, DEL), he had four goals and 18 assists in 49 games. And now there are four . . . WHL teams without head coaches, that is. The Kootenay Ice’s new owners fired head coach Luke Pierce on Friday morning, joining the Calgary Hitmen, Spokane Chiefs and Victoria Royals as teams in the market for a new leader. 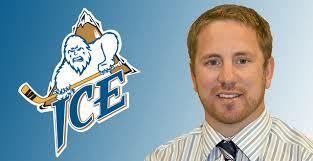 The Kootenay Ice has fired head coach Luke Pierce. Meanwhile, Pierce told Brad McLeod of the Cranbrook Daily Townsman that he didn’t see it coming. “This is the first time that this has happened to me [and] you go through a lot of emotions,” Pierce told McLeod. “You go through it all: some anger, some disappointment, some embarrassment, you name it. We’re just trying to cope with it the best we can as a family. McLeod’s story is right here. Pierce spent two seasons as the head coach of the rebuilding Ice, going 14-46-12 this season after finishing 12-53-7 in 2015-16. The Ice had the WHL’s poorest record each season. Pierce, who is from Merritt, B.C., replaced Ryan McGill on May 26, 2015. Pierce, 33, had spent the previous six seasons as the general manager/head coach of the BCHL’s Merritt Centennials, going 168-111-21 and making the playoffs each season. From 2004-09, Pierce attended the Royal Military College in Kingston, Ont., graduating with a bacher or arts with a psychology major and business minor. He also has an MBA with a concentration in strategic management. Cockell and his partner, Greg Fettes, purchased the Ice from the Chynoweth family in a deal that was approved by the WHL’s board of governors on April 27. The Hitmen are looking to replace Mark French, who will coach in Switzerland this season, while the Chiefs and Don Nachbaur went their separate ways after the season despite his having a year left on his contract, and the Royals lost Dave Lowry this week when he signed on as an assistant coach with the NHL’s Los Angeles Kings. Last month, the Everett Silvertips named Dennis Williams their new head coach, replacing Kevin Constantine whose contract wasn’t renewed after the season. F Klim Kostin is NHL Central Scouting’s top-ranked international skater for the 2017 draft, which is scheduled for Chicago, June 23-24. The Kootenay Ice hold Kostin’s CHL rights, having selected the Russian with the first overall pick in the CHL’s 2016 import draft. . . . However, Kostin chose not to report, preferring to stay and play in Russia. 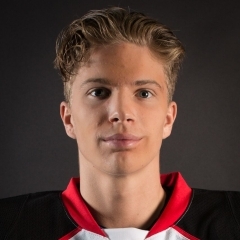 Unfortunately, he suffered a season-ending shoulder injury in January and was limited to a total of 18 games — he was pointless in eight games with the KHL’s Dynamo Moskva, had one goal in nine games with the VHL’s Dynamo Balashikha, which is one step below the KHL, and had one goal in one game with HK MVD Balashikha in the MHL, a junior league. . . . This week, the 6-foot-3, 195-pound Kostin has been at the NHL Scouting Combine in Buffalo. On Thursday, he told Joe Yerdon of NHL.com that he plans on playing in North America in 2017-18, but that he “will never go there,” in reference to Kootenay holding his CHL rights. . . . Of course, the NHL team that selects Kostin in the draft will be able to sign him and assign him within its organization because he will have been drafted out of Europe. The Vancouver Giants have acquired F Brad Morrison, 20, from the Prince George Cougars for a selection in the 2018 WHL bantam draft. to it as a conditional second-round pick. Morrison, who is from Prince George, was the seventh overall pick in the 2012 bantam draft. In 260 regular-season games with the Cougars, he had 85 goals and 103 assists. He added 11 points, three of them goals, in 11 playoff games. The New York Rangers selected Morrison in the fourth round of the 2015 NHL draft, but didn’t sign him by Thursday’s deadline, so he is eligible for the 2017 draft. Morrison is one of six 20-year-olds on the Giants’ roster, the others being F Jack Flaman, F Ty Ronning, D Darian Skeoch, F Johnny Wesley and D Jordan Wharrie. In Prince George, the Cougars still have 10 20-year-olds on their roster, including three who have signed NHL contracts — F Jesse Gabrielle (Boston Bruins), D Brendan Guhle (Buffalo Sabres) and F Jansen Harkins (Winnipeg Jets). Also there are F Jared Bethune, F Radovan Bondra, F Aaron Boyd, D Shane Collins, F Brodan O’Brien, D Tate Olson and F Tanner Wishnowski. Tim Petruk of Kamloops This Week reported Friday that “a warrant has been issued” for Rudy Poeschek, “a former National Hockey League enforcer accused of breaching his probation.” . . . Poeschek didn’t show up for court on Friday where he was to have gone on trial in provincial court on allegations he missed meetings with his probation officer last summer. . . . Poeschek, who played junior hockey in Kamloops, is one of the former players who is involved in a concussion-related lawsuit against the NHL. . . . Petruk’s story is right here. D Matt Sozanski, who played out his junior eligibility this season with the Moose Jaw Warriors, will attend Carleton U in Ottawa and play for the Ravens in 2017-18. Sozanski, from Calgary, played three seasons with the Spokane Chiefs before being dealt to Moose Jaw. This season, he had three goals and 33 assists in 63 games. In 207 career games, he had six goals and 55 assists. The Mount Royal U Cougars have added a pair of former WHLers for the 2017-18 season — F Mitch Lipon and D Kord Pankewicz. . . . Lipon (Kamloops, Saskatoon, Spokane, 2012-15) played this season with the AJHL’s Whitecourt Wolverines, putting up 25 goals and 48 assists in 58 games. In 71 WHL games, he had eight goals and seven assists. . . . Pankewicz (Brandon, Lethbridge, 2012-17) started this season with the Lethbridge Hurricanes and finished it with the AJHL-champion Brooks Bandits. He had six goals and 22 assists in 31 games with Brooks. In 243 WHL games, he had 13 goals and 99 assists. Former WHL D Barret Jackman (Regina, 1997-2001) has rejoined the St. Louis Blues, this time as the NHL’s team’s development coach. Jackman ended a 14-year NHL career by retiring in October. . . . Jackman, 36, got a feel for the position late this season when he spent time with the Chicago Wolves, who at the time were the Blues’ AHL affiliate, and some prospects. . . . Jackman played 803 games with the Blues before finishing up his NHL career with the Nashville Predators in 2015-16.